sun causing this heavy heat wave can be effectively utilised. Effectively utilising the sun through the use of Solar energy can bring about massive savings in spending for gas/fuel to power the generator or in electricity bills. Every home and offices needs this. This will also help in the increase of sales in all businesses. For example, one day I went to a salon to make my hair and was surprised that there was light. This is because there hasn't been light in the area for days. The salon owner smiled and said, we are using Solar. This will make people come in regularly to make their hair as compared to where you have to wait for gas/fuel to be bought before business for the day can begin. 2) Security Purposes - Do you know that there are security bulbs that are powered by Solar? The sun charges them during day and it automatically lights up at night. This of course will help in reducing electricity bills. 3) For decorations: Those who have gardens might need to light it up at night. There are gardens lights that is powered by the sun. As explained in 2. 4) Do you know that gates can be powered with solar energy? That is gates that use remote controls. 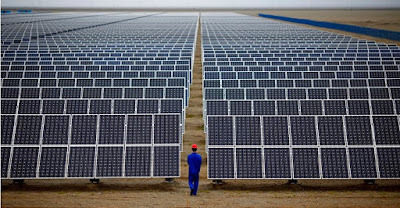 Instead of powering them with batteries, Solar (the sun) does all the work needed to be done. 5) There are so many things beyond our imagination that Solar energy can do for us. 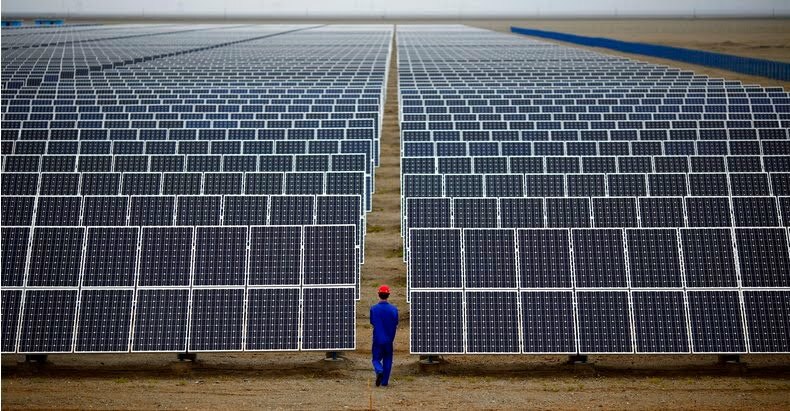 China is trying to mainly get its energy or power from Solar. Let's effectively make use of the sun that we have been blessed and achieve great things with it.